One benefit of downloading printable anniversary cards is that you can put your own touches on them. Personalizing the front of a card with your sweetheart’s name, for example, or inserting a photo of your long-married friends at their wedding can transform a simple greeting card into a cherished keepsake. The following cards are Microsoft Publisher templates, which you can download and use with any current version of the program. Pick the one that seems to speak from your heart or choose the design you like best and customize it with your own sentiment. Either way, the recipient is sure to appreciate the thought you put into giving it. Some guys prefer cards that are short and sweet while others appreciate romantic sentiment. This anniversary card is suitable for either type of man, as it has an understated cover with a simple yet loving statement inside. The cover is a floral pattern in warm brown tones with a diagonally-placed text box that says, “To my wonderful husband on our anniversary." You can change the text, if desired. Inside, the card reads, “The life we have together means everything to me. I love you now more than ever. Your loving wife" with a textured background behind it. You can change the colors of the cover as well as the interior background if you choose. Select the image you want to change, click the Format tab under Picture tools and select Recolor in the Adjust group to pick a new color. 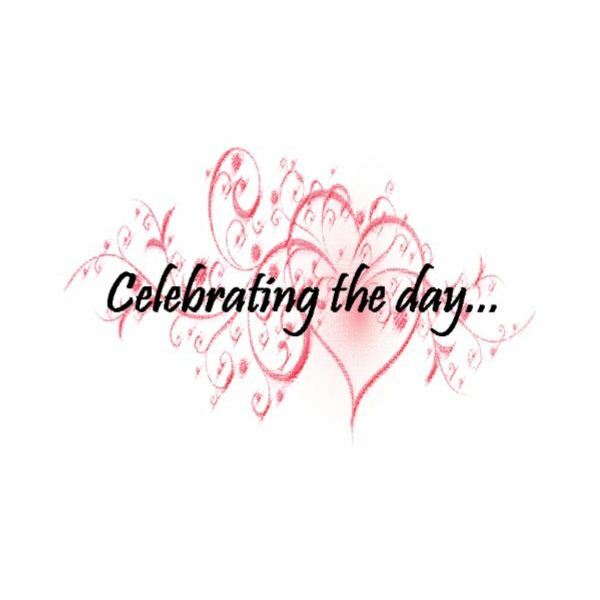 This vibrant card may be ideal for the husband who wants to show his wife he remembers and cares about their anniversary. The cover reads, “for my Beautiful Wife on our Anniversary." Inside, the card states, “Because of the woman you are, I am the man that I am. Thank you for sharing life with me. Now and forever, I love you." There is also a customizable section on the back of the card where you can enter your name, showing that you took the time to make it yourself, just for her. Although the cover text is part of the image, you can customize the interior text as you desire. 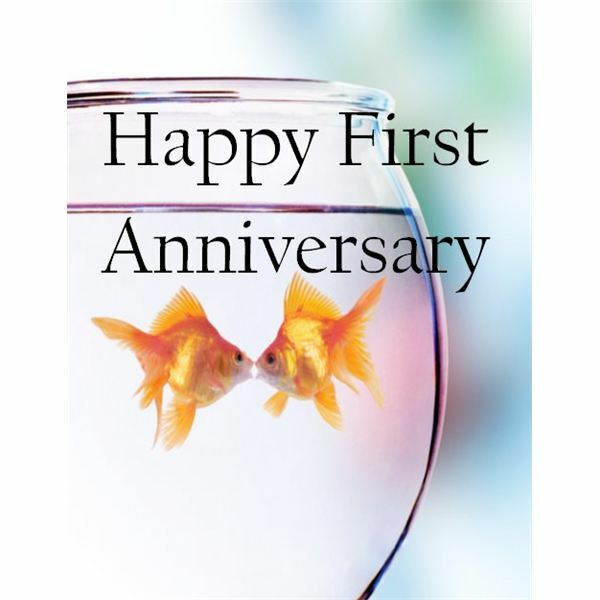 A pair of kissing goldfish occupy the cover of this card along with the text, “Happy First Anniversary." The interior text states, “Thanks to you two, I have hope that there are still some good fish in the sea!" This card could be used to celebrate any anniversary. Simply change or remove the “First" on the front of the card. This unfussy yet lovely card is sure to be appreciated by a couple celebrating their 25th, 50th or other significant anniversary. 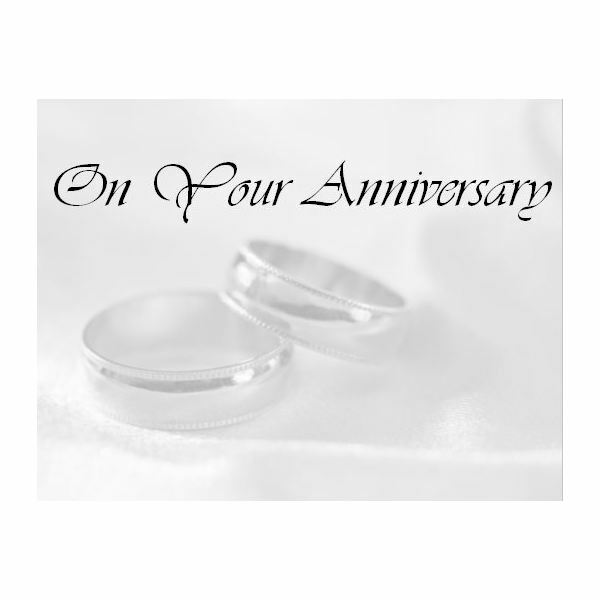 The cover features a gray-toned pair of bands with the words “On Your Anniversary." Inside is the following text: “Congratulations on 50 years of Richer and Poorer, Having and Holding, Laughter and Tears, Faith, Hope and above all Love. Your marriage is a beacon of light and hope to those of us blessed enough to witness your unselfish, unconditional love. Blessings today and always." Any of the text can be modified. Be sure to change the number if the couple is celebrating an anniversary other than their 50th. Even though someone’s husband or wife has passed on, the date of anniversary is still special. In fact, sending an anniversary card to a widow or widower may be especially meaningful, as there is no longer a spouse with which to share sentiments. 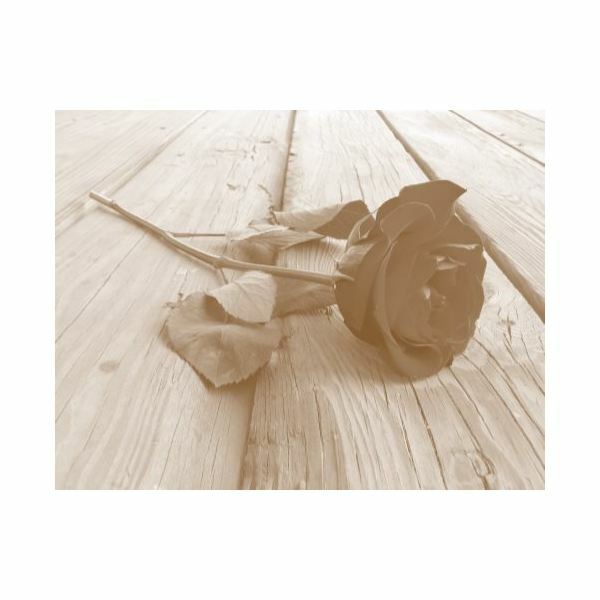 This anniversary card has a single rose in sepia tones on the front, with “Thinking of you today and hoping you are filled with wonderful memories of your life together. Happy anniversary" on the inside. All of these cards are quarter-fold cards, although they vary in orientation. You can print the cards on one standard sheet of paper or card stock without the need of a duplex printer or otherwise flipping the card and printing on the back. Once printed, fold the short ends of the card together so that the cover is on one side and the interior is on the other. Then fold the card in half once more.